With most people feeling the winter chill, the natural inclination for many of us is to tuck into the tucker and stack on a few extra layers of fat to protect us from the cold. Well pigs are no different. They like to put on a bit of weight in winter too, given half the chance, so it’s essential their diet is carefully controlled so they get top grade, according to Dean Romaniello, Livestock Co-ordinator for PPC Linley Valley Fresh. PPC Linley Valley at Wooroloo, WA’s only export accredited pork processing facility, is part of the 80 year old Craig Mostyn Group and a significant exporter to Asia, generating approximately 20 per cent of Australia’s pork exports to the region. With its annual output of about half a million pigs, PPC Linley Valley processes 98 per cent of WA’s pigs. Mr Romaniello said pork producers looking to achieve a top grade for their pigs and the maximum dollars per kilo should aim to bring them in lighter. “It’s really important to ensure fat depths don’t blow out at this time of year,” Mr Romaniello said. “In the long term that means growers need to take a careful look at diets and seek advice from feed and nutrition experts like Dr Bruce Mullan at DAFWA, if necessary. Dr Mullan is leader of the Pork CRC’s Subprogram 2a, which examines innovative products and strategies for the measurement of feed intake. He is an internationally regarded expert on improving herd feed conversion efficiency and the Pork CRC’s work in this, and other areas, has enhanced the profitability of pork producers throughout Australia. Mr Romaniello said there was a renewed optimism among pork producers this year, after some lean times, with good prices and the market going “pretty well”. “This is the first time WA prices haven’t declined over winter for a long time,” Mr Romaniello said. 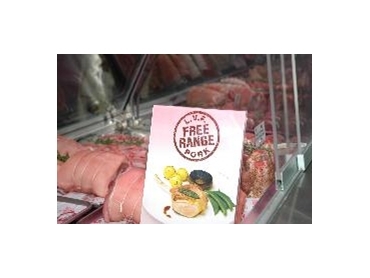 He said PPC Linley Valley was seeing continuing good demand for Linley Valley Fresh Free Range Pork, which the company was meeting at present from WA’s two big outdoor piggeries. As free range piggeries were somewhat less efficient than conventional piggeries, growers were at some disadvantage when it came to growth rates, he noted. Over the long term, free range piggeries were extremely dependent on receiving a premium price, but were showing that they could command those prices in the face of consistent demand. “More generally, the market is tight from our point of view and we’re looking for more pigs,” Mr Romaniello said. “There’s definitely room for expansion given the current market outlook,” he concluded.